Graduates of the SNAP Program. Did I just have an unusually long blink? Where did September go? AND October is gone?! It all started with getting to meet a LearnKey Alumni that relocated to AZ for an IT job at Spectrum. It was an honor to shake his hand and see the joy in his eyes brought on by finding a career in his field. LearnKey has assisted nine Blue Ocean graduates finding a new career in their field in the last six months. Next, I was shocked by the final itinerary for my Remote Year experience! It could not have imagined a better list of places! Emotional roller coaster is a term that I continue to use to describe my experience but it is more like ton of happy, exciting, anxiety bricks hitting you at any moment, like when you are celebrating a moment with a friend who you may not see for an entire year, presenting a resume and interview workshop in Las Vegas, or ya know, just breathing, just hits you. Seeing the places in which I will live made this experience become very, very real. And, here they are https://remoteyear.com/itinerary-kanyini . Speaking of that resume workshop and Interview workshop, I had the pleasure to work with an amazing company called Three Square. Three Square is Southern Nevada’s only food bank providing food assistance to the residents of Lincoln, Nye, Esmeralda, and Clark counties. Three Square’s mission is to provide wholesome food to hungry people, while passionately pursuing a hunger-free community. We combine food banking (warehousing canned and boxed goods), food rescue (obtaining surplus or unused meats, bread, dairy and produce from hospitality and grocery outlets), and ready-to-eat meals to be the most complete food solution for Southern Nevada. They, in partnership with LearnKey, have stepped up to take its Supplemental Nutrition Assistance Program (SNAP), formerly known as food stamps, outreach efforts to the next level. Three Square approached the state with a proposal that it create a pilot program to train SNAP recipients in call-center work, with an eye toward becoming a certified third-party training provider. I had the privilege to administer the Resume Writing and interview Workshop to the students in the pilot program for Three Square as of October 10, 2017, 3 out of the 5 participants have been hired. 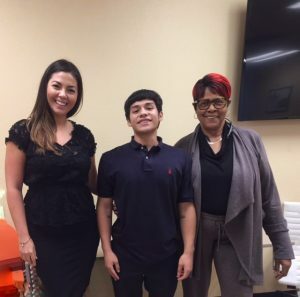 Met with an AZ Congresswoman’s Community Liaison who mentioned that the VA is moving to hire more work-from-home customer services representatives, more information will be shared as it is received. September 2017 has changed my life for the better with all the inspiring events. I look forward to sharing my October with y’all! Today, we are excited to announce the release of our Linux+ Part I and Linux+ Part II MasterExams. MasterExam™ test prep tools from LearnKey help IT certification candidates put the finishing touches on their comprehension and confidence as a final step before sitting for the exam. With hundreds questions, the all-new Linux+ Part I/Part II MasterExam™ supplements the training and hands-on experience needed to pass the Linux+ Part I/ Part II exams. In July 2017 I decided to share an exciting adventure with my LearnKey family. Here is the story. 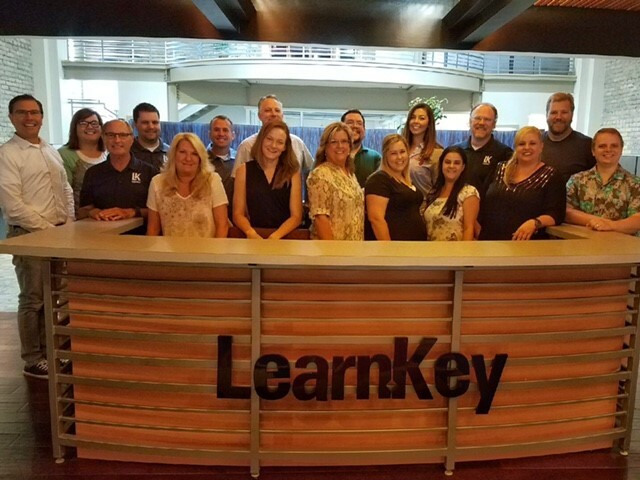 In my first two years with LearnKey, I have created a Job Ready Team from nothing, managed over 50 veterans’ successful placement in careers and assisted with strategic initiatives…. All while learning the ins and outs of the IT field and training myself to be efficient and productive at home, which in theory sounds awesome, but when you are a social butterfly (as my parents say) it can pose a bit of a challenge. The first year, I was distracted by negative questions like, “am I doing enough?” “can I do laundry during work hours, or is that illegal (I can be a bit dramatic)?”, “do people remember that I even work here?” I felt like I was doing something wrong if I wore pajamas or workout clothes all day, I mean no one saw me, right?! This negative self-talk can be detrimental to productivity especially when you do not have the physical support of your peers and coworkers. However, one day, with the simplest conversation with someone who worked remotely, and who I admired, my work from home life changed. I was at lunch with a mentor that I revere, a woman that has it ALL together, inspires others to persevere and does it with the utmost grace and integrity. She said to me, “do you ever take an early meeting without brushing your teeth?” – or something to that effect. OMG! YES! I was overcome with excitement, like a child that can only express the excitement with a squeal. This woman, perfect, powerful, professional, sometimes does not have time to brush her teeth before a meeting!! I was not alone. I did not have to be perfect. I had to be productive. And I was. From that day on, I hit my stride working from home. I developed new processes, assisted massive amounts of students with resumes/job searching/and interviews, often in leggings and a tank top. I made sure I brushed my teeth BEFORE every meeting! I was killing the game. At that point, I decided I needed a new challenge. I presented my Remote Year program to Jeff, the coolest CEO you could meet. His progressive mindset and passion to change the world fueled his approval of the program. To travel the world for a year… and work. Because of the two years I had been working remotely, and the accomplishments I have, Jeff said yes. This month, July 2017 – I shared the program with my LearnKey family. And with little shock, as the team is comprised of the most genuinely, supportive, creative and all around amazing people I have encountered, they approved of my adventure as well. Now, I HAVE to go through with this. I have no choice. Nervousness excitement is the simplest way to describe what I am feeling. But it’s more like an emotional roller coaster of EVERY AND ALL feelings you have ever felt. I hope I do not disappoint my team. I hope I can find good food. I really, really, really hope my Internet connection does not fail me in Thailand, or Prague, or Colombia! I hope I can afford shopping in every country. I hope people like me. With lots of hope, excitement, nervousness, and dedication, I embark on my journey January 2018. This blog is meant to inspire, relate to other remote workers, and hopefully make you smile. Until next month!